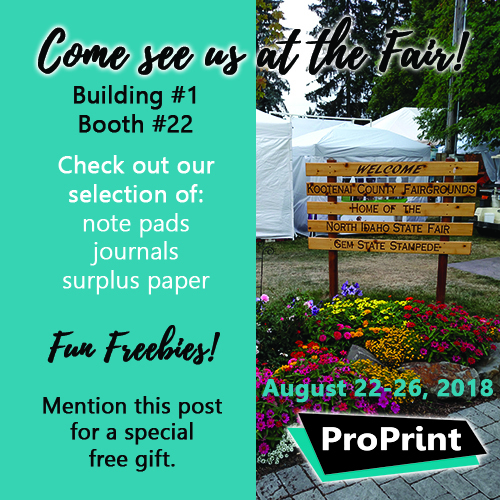 Come see us at the Fair this week! Find us in Building #1, Booth #22. We’ll have note pads, journals, and surplus paper for sale. Plus lots of fun freebies… coloring books and crayons for the kids, bookmarks, quote cards, and more! The North Idaho Fair opens on Wednesday morning, August 22, and runs through Sunday evening, August 26.